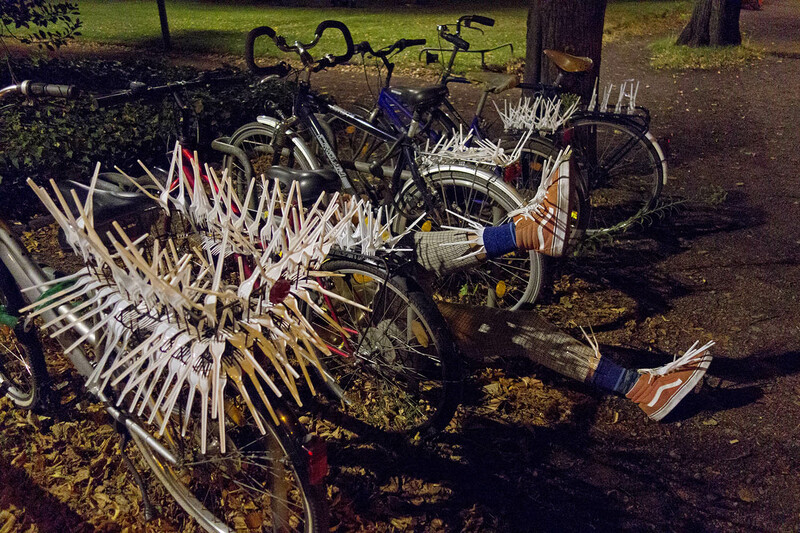 FORKS AND THE CITY deals with surfaces – the skin and face of a city. 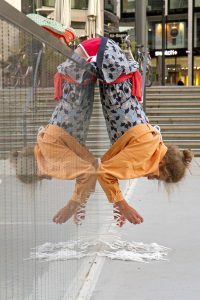 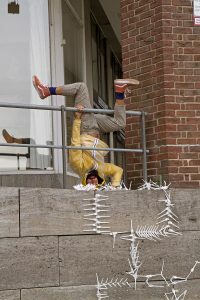 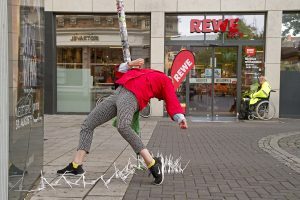 By means of improvisation and installation this nonstop 24-hours-performance enters the physical and social space of an urban environment in order to trace its structures, patterns and details. 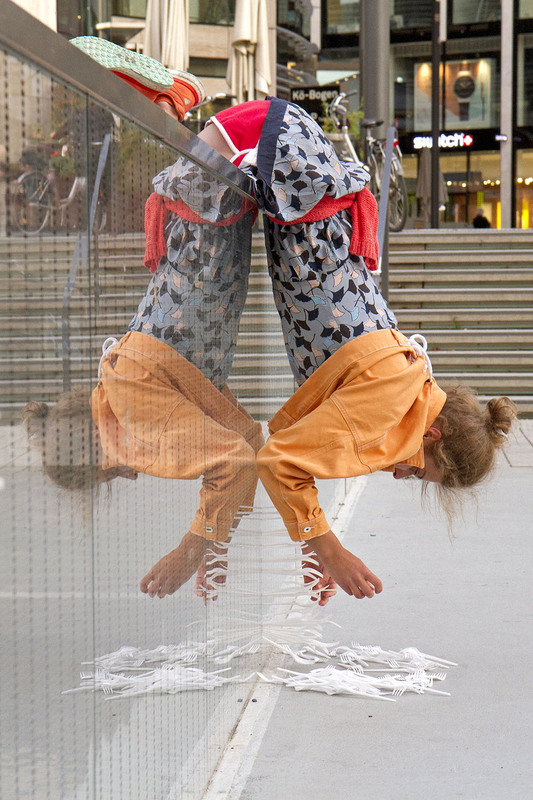 Seven performers precisely dissect the urban macrocosm in order to expose its peculiarities. Furthermore they also expose themselves to the unpredictable nature of everyday urban life. 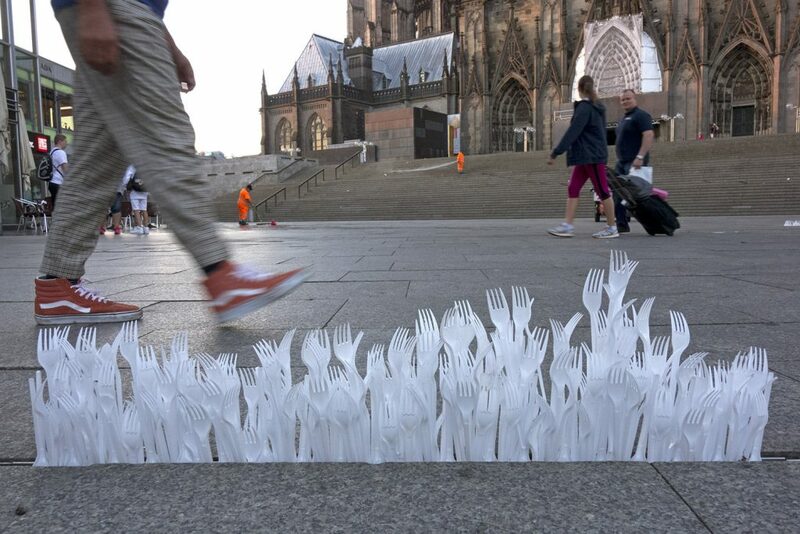 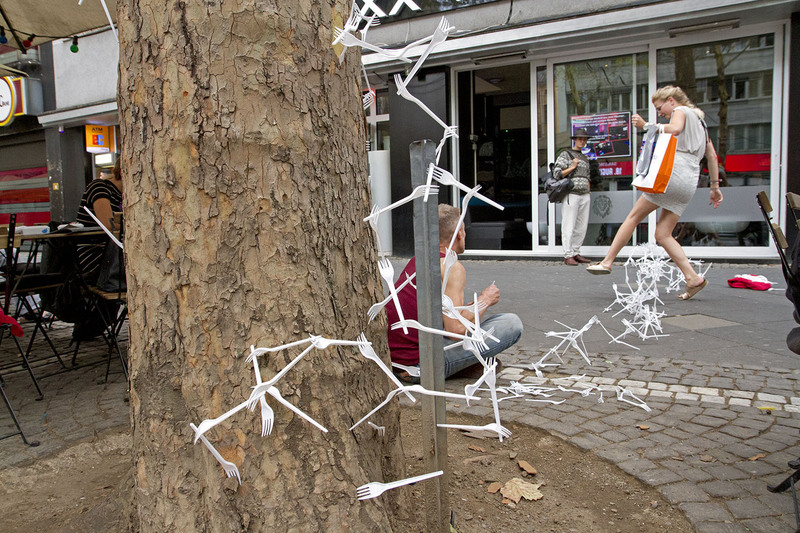 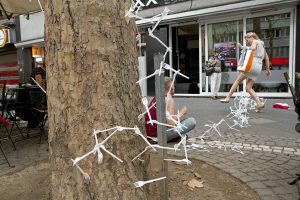 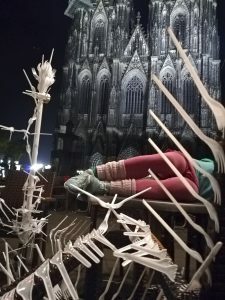 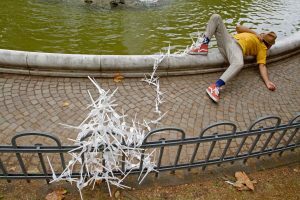 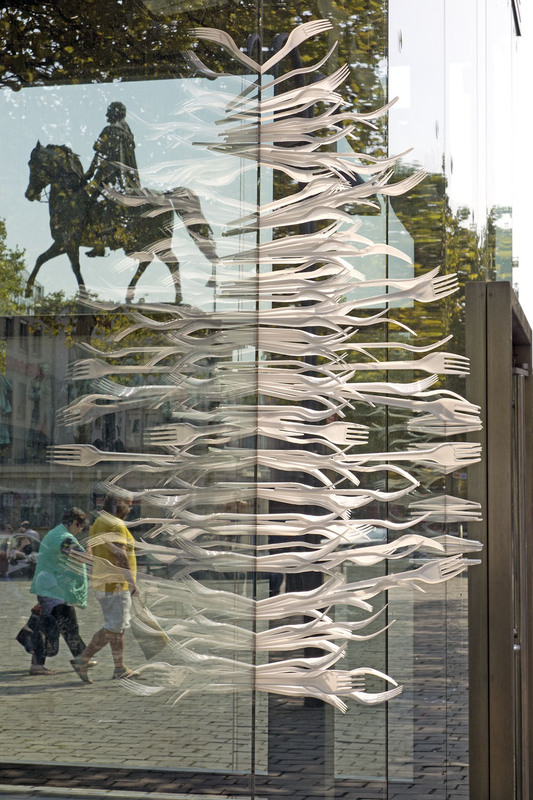 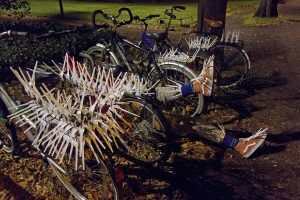 By using hundreds of plastic forks as an artistic tool they explore and emphasize its rooms, surfaces and objects. 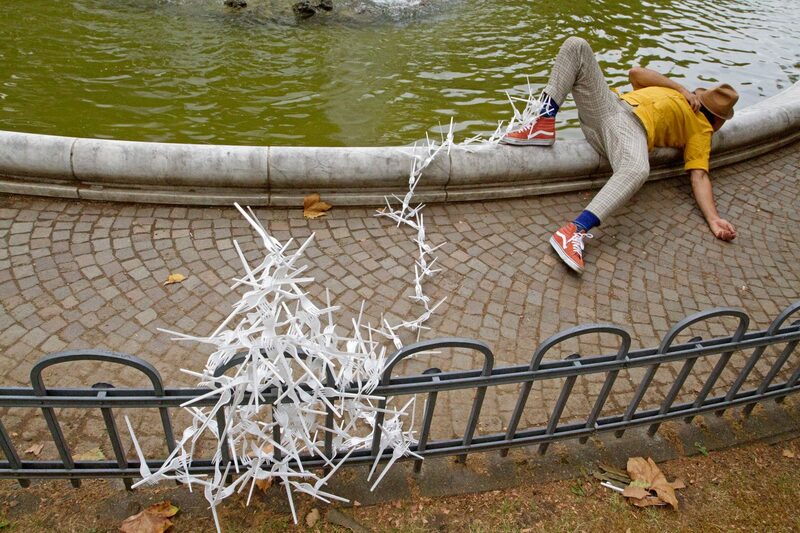 This conjunction of body, object and space meets the challenge of an unusual time format. 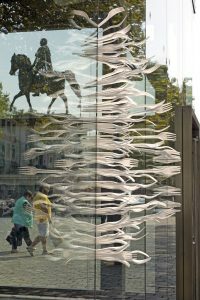 In a sensually provocative way it emphasizes the well-structured rhythm of urban life and the strong impact time has on everyday city life. During a period of 24 hours the performance passes through larger parts of the respective city centers.